Next week, I'll start my fifteenth year of teaching and the tenth at the university. (That sentence makes me sound significantly older than I currently feel.) Yesterday I was asked to share my best teaching advice to a group of new graduate students in our department. As I prepared, I thought back to the start of my career. How I felt nervous every morning. How I doubted myself. How I felt like a fraud as I stood at the front of the classroom, just slightly ahead of my students in life. One semester, one academic year at a time, thousands of students have appeared on my rosters. There's now a healthy buffer of experience and age between me and them. From these fifteen years, I drew out three pieces of advice, both practical and philosophical, to share with these new teachers. Stay ahead, even if it's by one step. Regardless of the age level or subject matter taught, the work load can be staggering if it's not managed well. For new teachers who are simultaneously planning a course while they're teaching it (an inevitable reality for every teacher at some point), it's wise to build enough buffer between what you're doing now and what you must do next. One way to achieve this is to tackle grading resolutely. Face that stack of essays head on. Stare down the assignments, speeches, and exams. This aggressiveness with grading has helped me to return work in a reasonable time frame (something appreciated by students) and it's also prevented me from drowning in a backlog of paperwork as new paperwork is continually submitted. Act confidently even if you feel insecure. In my public speaking classes, I teach my students how to present confidently even if they feel otherwise. I've applied this principle to my own teaching, especially when I was a novice, so that my tone, posture, and demeanor displayed the confidence I wanted to naturally own. By saying this, I'm not suggesting that teaching is mere theatrics or a disingenuous act. But I am acknowledging that there's an element of performance to teaching. Someone who's confident, even if it's a quiet confidence, can command a room. 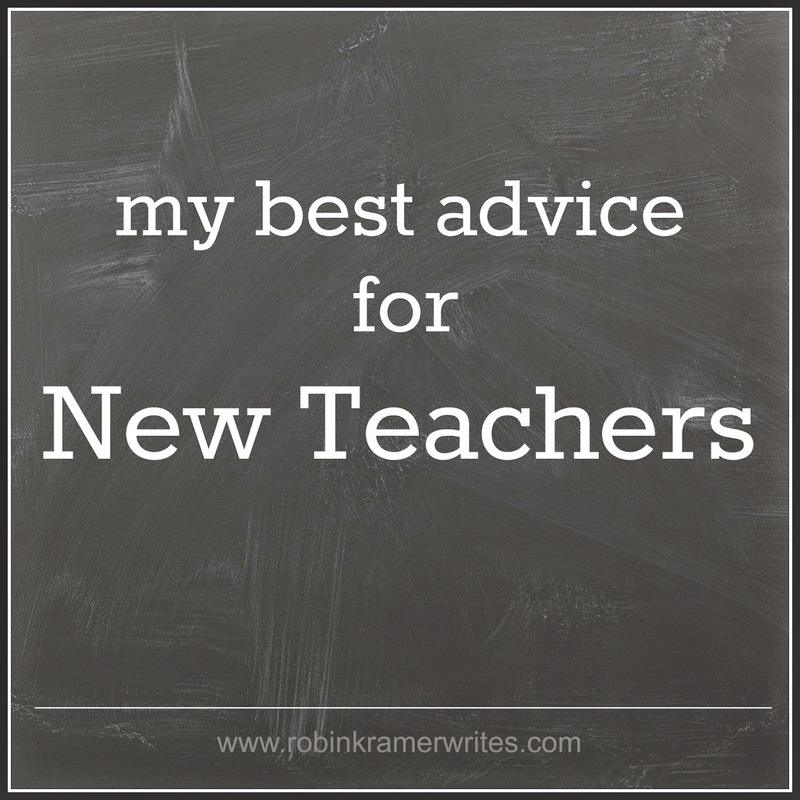 Act confidently, new teacher. Eventually you'll feel confident, and even better, eventually you'll be confident. You'll own the role that feels so foreign at the start. Be proactively for your students. This is the most important nugget of advice. At the heart of teaching, there must be a genuine care for the well-being, both academic and personal, of students. I used to wonder what my students thought of me. I worried whether they liked me. As the years have passed, that thinking has been flipped. I aspire to like my students, to enter the classroom each day thinking well of them. As a teacher, much like as a parent, being for them means that I invest great time and effort. It means that I serve, support, pour out, and give something of myself. At the same time, it means that I say "no" and "you can do better" and "try again." I challenge my students to write, speak, and be the best they can possibly be because, ultimately, I want them to excel, not merely to be placated or awarded for averageness. People know when you're for them, when you have their best interest in mind. Students are no different. After presenting to the graduate students, I visited the four classrooms on campus where I'll teach this fall. It's my start-of-the-semester ritual: checking out the rooms and technology, making sure the number of desks matches the enrollment, praying for each student who will sit in those chairs -- for their safety, for their studies, for their physical and emotional wellness, for their choices. I've often thought it: these students end up on my rosters, and if only because of this, I consider them entrusted to my care. Here's to the fifteenth year. Fifteen years... wow! You are amazing! These are fabulous tips - all of which I can include even in homeschooling. Staying one step ahead is a must. Act confidently... yup! Genuine care... well, that's a given since I'm homeschooling. Thanks for sharing this fabulous post at the #SHINEbloghop Robin!